Cuts through the toughest grease and leaves behind a fresh, clean scent with Dawn's manual pot and pan detergent. 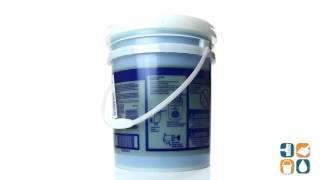 This detergent is formulated with the grease cutting power of Dawn so it's great for tough commercial jobs. Dawn Detergent cleans 58% more pots and pans than leading commercial brands. 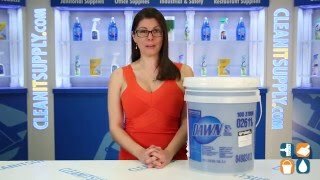 Because it is highly concentrated, Dawn reduces sink changeovers by 35%, saving on labor and hot water usage by 6,000 gallons per year. Get your dirty cookware, dishware, and glassware clean, sparkling and grease-free with Original Dawn Dishwashing Liquid. Ideal for use in commercial and industrial kitchens or cafeterias. 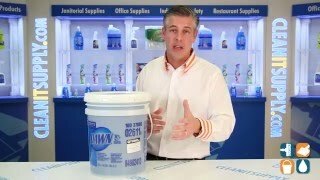 Includes one 5-gallon pail of manual dishwashing detergent. The Dawn is a used at a wastewater treatment plant to clean a machine used to to squeeze water from wastewater solids. This reduces hauling costs by reducing weight and volume. We find that dawn works as well as the commercial product used for cleaning the machine and the Dawn is less than half the cost of the commercial product. I use this item in a large household. I like that I found it in a large size because it saves me trips to the store. I use this product for cleaning windows. I would recommend this product to everyone. I depend on Dawns' tough action against dirt. We use the dawn soap to clean out our equipment for our shop. It's the best soap to use for manufacturing equipment. I'm a professional soap bubble entertainer and this product is a vital ingredient in my world class soap bubble recipe. I'd recommend it to anyone who wants to make soap bubbles the size of whales.